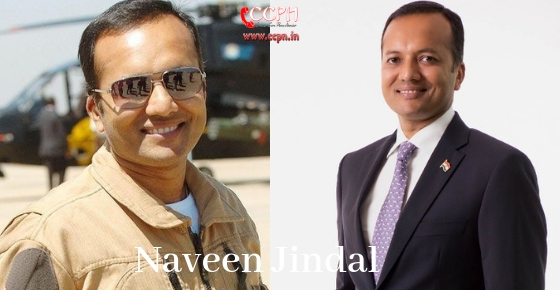 Do you know about Politician Naveen Jindal? Searching for queries like How to contact him? What is the phone number or email id of Naveen Jindal? What is the office or residence address of Naveen Jindal? Is Naveen Jindal available on Facebook, Twitter or Instagram? Check out this article for the available answers. Naveen Jindal is an Indian Politician, an Industrialist, and a sportsman. Naveen Jindal was born in Hisar Haryana on 9th March 1970. He is the son of Late Shri Om Prakash Jindal, former Minister of Power in the Government of Haryana and Smt. Savitri Jindal. Naveen is married to accomplish Kuchipudi dancer Shallu Jindal. He completed his schooling from Delhi Public School, New Delhi. He is a graduate in Commerce from Hans Raj College, Delhi University. In 1992, he went to the University of Texas at Dallas to pursue his MBA. Jindal was actively involved in politics in his student days. He was the President of the Student Government at the University of Texas and awarded with the Student Leader of the Year by the University. On his return to India after completing Post graduation in the US, Naveen began managing his Father’s Political affairs. In 2004, he elected from the Kurukshetra constituency in Haryana on Congress Party Ticket. Again he was re-elected in 2009. Naveen is also the Chairman and Managing Director of Jindal Steel and Power Limited. Naveen is an international level shooting champion. He has also represented the country on numerous national and international platforms including the Asian Games. Naveen is also a keen polo player. Naveen is the man who is single-handedly responsible for making the Tricolor more accessible to the average citizen. His determined legal and political campaign led to a revision of the Flag Code of India which now grants every private citizen the right to fly the Indian National Flag publicly with dignity and honour on all days of the year. Naveen Jindal Office Address: Jindal Centre, 12, Bhikaiji Cama Place, New Delhi – 110066, India. Naveen Jindal Residence Address: Jindal House, Mohan Nagar, Pipli Road, Kurukshetra – 136 118, Haryana. Official website of Naveen Jindal which can be used to know about him more and also to get updates related to him. Naveen Jindal is active on Facebook and Twitter. Following are the links to his social profiles. People can send ideas to Naveen Jindal for helping him to serve better.